133128 CRAFTSMAN. 133128 SEARS / ROPER / AYP. 138498 CRAFTSMAN. 138498 SEARS / ROPER / AYP. 134149 CRAFTSMAN. 134149 POULAN. 134149 SEARS / ROPER / AYP. Crossed From: HU22004 SEARS / ROPER / AYP. Style: Pan Seat, Padded. - 2 Bolt Mount (2" Center to Center). - 3 Drain Holes in Seat. - Black Leatherette Upholstery. Part Numbers: TS1200, 100000-BK, 100000BK, A193680, A 193680. 117192 TORO / WHEEL HORSE. Crossed From: 106077 TORO / WHEEL HORSE. 106636 TORO / WHEEL HORSE. 106077-03 TORO / WHEEL HORSE. 10607703 TORO / WHEEL HORSE. 11-7192 TORO / WHEEL HORSE. Benefits of the HXT blade are sharper and longer lasting cutting edges. 7079371 SNAPPER. 7079371BM SNAPPER. 7079371BMYP SNAPPER. 7079222 SNAPPER. 2674489 SNAPPER. 2728910 SNAPPER. Predator2 blades are 25-40% harder than standard lawnmower blades. (3) blades for 61" cut. M145516 JOHN DEERE. Crossed From: M113518 SCOTTS. M143520 JOHN DEERE. Verify length, width and center hole size. 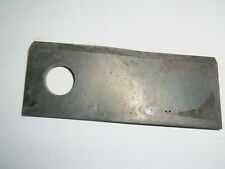 • (3) blades for 54" cut C deck. Center Hole 51/64". 90-354 OREGON. 503291 WINDSOR. 1708229 SIMPLICITY. 1708229 SNAPPER. Crossed From: 10094 ROTARY. Benefits of the HXT blade are sharper and longer lasting cutting edges. More resistance to bending. Fits models 14-16GT and 1700 series. The blades are heat treated with the patented and independently tested Marbain heat-treating process. This process makes the blades 25% - 40% harder than standard lawnmower blades, making them the longest-lasting, safest, and most impact resistant lawnmower blades on the market. 122265X AYP. 122265X CRAFTSMAN. Crossed From: 106635X AYP. 106635X CRAFTSMAN. 25034R AYP. 25034R CRAFTSMAN. 25034 CRAFTSMAN. 2162 ROTARY. 173921 HUSQVARNA. 173920 AYP. 173920 CRAFTSMAN. 173920 HUSQVARNA. 180054 AYP. 180054 CRAFTSMAN. The airflow tooth design increases blade strength while producing more airflow for smaller clippings. We have over 30 years experience in agriculture. M164016 JOHN DEERE. M144652 JOHN DEERE. M136195 JOHN DEERE. M135334 JOHN DEERE. TCU30316 JOHN DEERE. TCU30317 JOHN DEERE. • (3) blades for 54" cut. Center Hole 29/32". 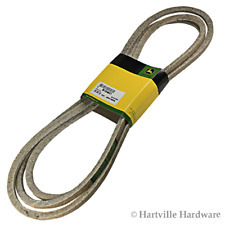 • For all mowers using oem# GX22151. Benefits of the HXT blade are sharper and longer lasting cutting edges. More resistance to bending. • (2) Blades for42" cut. Benefits of the HXT blade are sharper and longer lasting cutting edges. More resistance to bending. • (3) blades for 50" cut. We have over 30 years experience in agriculture. Predator2 blades are 25-40% harder than standard lawnmower blades. 2674489 SNAPPER. 2728910 SNAPPER. 7-9222 SNAPPER. (3) blades for 61" cut. 7-9371 SNAPPER. 7079222 SNAPPER. 7079371 SNAPPER. Closed shape tread provides greater traction. Mirrors popular turf style tread patterns. Tread Pattern Turf Rider- K358. Tread Style Turf. Includes Tire only (does not include rim). Rim Width 4.5. Maximum Load 365. Benefits of the HXT blade are sharper and longer lasting cutting edges. More resistance to bending. • (3) blades for 72" cut. Pistons, rings or liners ordered without the overhaul kit are not warranted since we cannot be assured of the quality of your other components. M154062 JOHN DEERE. Benefits of the HXT blade are sharper and longer lasting cutting edges. More resistance to bending. 92106 OREGON. John Deere RIDING MOWER: D100 (42"). John Deere RIDING MOWER: D105 (42"). Kubota - F1900 MOWER, KAWASAKI 17 HP ENG, T1770 MOWER, T1870 MOWER. Hydraulic and Oil Filter. 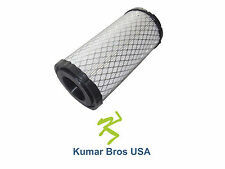 OF5200 - Lube Filter. Komatsu - 25 Graylift Lift Truck. Inside Diam. : 1 3/8 (34), Outside Diam. : 2 13/16 (34), Length: 5 1/2 (140), Thread: 3/4-16 UNS-2B, Features: anti-drip valve. Benefits of the HXT blade are sharper and longer lasting cutting edges. More resistance to bending. (3) blades for 52" cut. We have over 30 years experience in agriculture. Benefits of the HXT blade are sharper and longer lasting cutting edges. More resistance to bending. • (3) Blades for 44" cut. Pistons, rings or liners ordered without the overhaul kit are not warranted since we cannot be assured of the quality of your other components. Predator2 blades are 25-40% harder than standard lawnmower blades. (2) blades for 42" cut. Pistons, rings or liners ordered without the overhaul kit are not warranted since we cannot be assured of the quality of your other components. Inner AM129029, RE68049. outer 4290940, 842974300, RE68048. We will work for you to get what you need. Local pickup is not available. M145719 JOHN DEERE. Crossed From: M143504 JOHN DEERE. Predator2 blades are 25-40% harder than standard lawnmower blades. WARNING : To ensure the blade will fit a certain mower, p lease order by manufacturer's Part Number/OEM number. Crossed From: M115495 JOHN DEERE. • (3) blades for 48" cut. 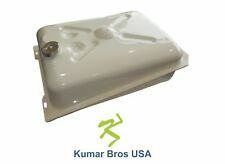 Fits 180, 185, F510, F525, F735, GS25, GS30, GS45, GS75, and F710. Benefits of the HXT blade are sharper and longer lasting cutting edges. M145516 JOHN DEERE. M143520 JOHN DEERE. M115496 JOHN DEERE. Fits 54C decks. Benefits of the HXT blade are sharper and longer lasting cutting edges. More resistance to bending. M152726 JOHN DEERE. Verify length, width and center hole size. Benefits of the HXT blade are sharper and longer lasting cutting edges. More resistance to bending. • (3) blades for 54" cut. Thick. 197. Predator2 blades are 25-40% harder than standard lawnmower blades. • (3) blades for 54" cut. We have over 30 years experience in agriculture. Round center hole. 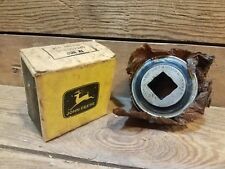 Cub cadet numbers 618-04129 618-04129A 918-04127 918-04129A 918-04129B. Pistons, rings or liners ordered without the overhaul kit are not warranted since we cannot be assured of the quality of your other components. (2)- Steering Shaft Bushings. 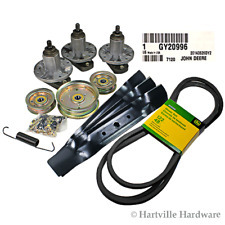 --Hardware Kit to mount steering sector gear. 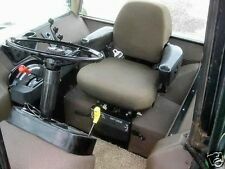 (1)- Steering Sector gear. (1)- Steering Gear Hardware. Kit Includes. We have over 30 years experience in agriculture. Benefits of the HXT blade are sharper and longer lasting cutting edges. More resistance to bending. • (2) Blades for 42" cut. High Quality. Kenda's Turf Rider design provides excellent turf traction with minimal turf wear. Tread Pattern Turf Rider- K358. Includes Tire only (does not include rim). Rim Width 3.75. We have over 30 years experience in agriculture. Cub Cadet ZERO TURN MOWER: I1050 (With 50" mower deck.). Cub Cadet ZERO TURN MOWER: RZT (With 50" mower deck.). H pattern center hole. Cub Cadet LAWN TRACTOR: SLT (With 50" mower deck.). Cub Cadet LAWN TRACTOR: LT (With 50" mower deck.). • For all mowers using oem# M153118 or M84472. Benefits of the HXT blade are sharper and longer lasting cutting edges. More resistance to bending. • (2) Blades for 38" cut. We have over 30 years experience in agriculture. Crossed From: GX20249 JOHN DEERE. • (2) blades for 42" cut. Fits L100 and 100 series models. Predator2 blades are 25-40% harder than standard lawnmower blades. We have over 30 years experience in agriculture. • For all mowers using oem# GX22151. GX22151 JOHN DEERE. Benefits of the HXT blade are sharper and longer lasting cutting edges. More resistance to bending. Crossed From: AM137327 JOHN DEERE. 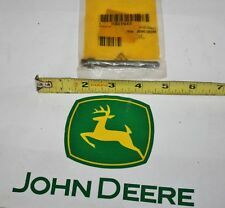 AM137328 JOHN DEERE. 88616 GRAVELY. 113579 TORO / WHEEL HORSE. 30227 TORO / WHEEL HORSE. 11234 GRAVELY. 11234P1 GRAVELY. 8861651 GRAVELY. 8899300 GRAVELY. 30227-50 DIXIE.